The Russian Ministry of Defense has issued a statement questioning Western policy on the development of a European missile defense system (EuroPRO). Russia’s comments came in response to the refusal by the organizers of the 10th International Conference on Missile Defense to allow Russian participation. The organizers of the 10th International Conference on Missile Defense, to be held on June 17-20 in the German city of Mainz, have rejected calls by Russian representatives to participate in it. In response, Russia’s Ministry of Defense has issued a statement expressing its disappointment in what it perceives as an unconstructive approach from NATO countries towards international security. “This step fits into the general line of curtailing dialogue with Russia being conducted by the U.S. and its NATO allies over issues related to missile defense,” confirmed a spokesperson for the Russian MoD. “This ‘ostrich’ approach cannot but cause concern in conditions where the completely unrestricted deployment of elements of the U.S.-NATO missile defense system is actively continuing in Europe. This may violate the strategic balance and undermine international stability,” said the spokesperson. However, the real reason for the refusal of the Russian request was most likely Russia’s takeover of Crimea, which countries in the West see as an annexation. In response, the U.S. and EU have imposed sanctions and curtailed military-technical cooperation with Russia to the full extent. In such a situation, there is no point in hoping for a continuation of dialogue over missile defense. Washington’s assertion that the anti-ballistic missile defense system being developed in Europe (EuroPRO) is meant for protecting the region from missile attacks from Iran and North Korea is highly doubtful. Pyongyang is thousands of miles from the European continent and North Korean missiles are not capable of reaching it. Moreover, the North Korean regime has never had any enemies in Europe. The situation concerning the Iranian threat is roughly the same. The missile defense system that Washington is setting up in Europe is directed decidedly not toward Tehran or Pyongyang, but at Moscow. Comments to the same effect were also found in the Russian MoD statement. Russia has deployed missiles on Europe’s borders: Was it necessary? In response to the stated concerns of the U.S. and NATO over missile threats emanating from Iran and South Korea, Moscow has repeatedly offered its foreign counterparts the opportunity to set up cooperation in the sphere of missile defense. In 2010 at the summit in Lisbon, Russia and NATO agreed to cooperate on the development of a European missile defense system, however negotiations came to a standstill because Moscow demanded a legal guarantee that the system was not directed at Russia. In the U.S., they gave assurances that the missile defense system in Europe was only designed to handle potential threats from Iran or North Korea, but refused to provide any documental confirmation. In October 2013, after a session of the NATO-Russia Council held at the ministerial level, Russian Defense Minister Sergei Shoigu announced that joint work with NATO on missile defense would not pan out because the West ignores Russian “concerns.” “We do not have enough predictability in relation to the American and NATO plans for missile defense,” said Shoigu. The construction of a missile defense base with the Aegis system and SM-3 missile interceptor missiles has already begun on Romania’s Deveselu base, with the systems scheduled to be commissioned for 2015. 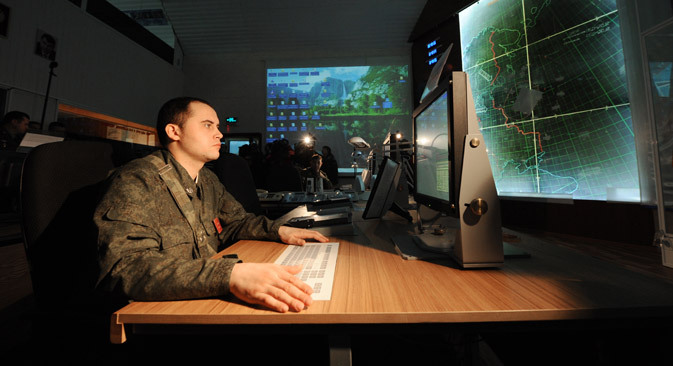 In 2018, Aegis systems are to be deployed at a base near the Polish town of Redzikovo. Meanwhile, American ships with the same Aegis system and SM-3 missile interceptor missiles have already arrived at the Spanish port of Rota. The vessels are now based there on a permanent basis and occasionally enter the Black Sea. The U.S. has also sent aircraft with AWACS advance warning and control systems to Romania and Poland. All of this cannot but cause Moscow concern, and forces it to respond by taking measures to offset the negative influence of the EuroPRO system on Russian security. One of the options that would be an adequate response by Russia to the deployment of the EuroPRO system would be the placement of an Iskander-M operational and tactical complex on the territory of the Kaliningrad Region. Its missiles have a range of 298 miles and could reach the American base in Redzikovo. Moreover, it is a precision weapon that cannot be intercepted by any means of air or missile defense since it flies along an unpredictable trajectory. Another deterrent is the creation in Russia of the new super-heavy liquid-fueled strategic missile Sarmat, which should enter into service in 2018. The missile, which can carry ten nuclear warheads, can hit targets not only via the North but also the South Pole. Sited in Siberia, the missile will be unreachable from any missile defense complexes, including for Aegis systems with SM-3 missile interceptor missiles based on land or sea. Therefore refusing to engage in dialogue with Russia over issues of missile defense only aggravates confrontation while in no way increasing the level of European security. Read more: American ABMs in Europe: Missile defense or offense?